We all welcome the March rain we have been getting. But coupled with the warmer temperatures this winter, I fear we may be in for a bad mosquito season. The human buffet will be open shortly. With all the headlines about the dreaded Zika and West Nile virus, people will be stocking up on insect repellent quite soon. But what should you buy? A New Mexico State University study recently confirmed that DEET repellents are the most effective mosquito repellents in the market. We are all familiar with old fashioned DEET. It has been around since World War II. In response to consumer fears of DEET, companies have scrambled to come up with a safe alternative. There seems to be as many mosquito repellents as there are mosquitoes these days. And few head-to-head studies have been done to any large degree. If you are a regular reader of the Journal of Insect Science, you are probably familiar with the study conducted at New Mexico State University recently. They tested 10 available products against two common species of mosquitoes. 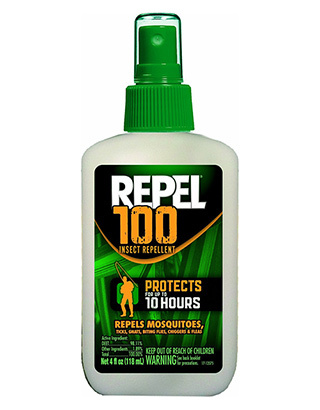 Three products — Repel 100 Insect Repellent, OFF Deep Woods Insect Repellent VIII and Cutter Skinsations Insect Repellent — contained DEET. Four products were more natural based without DEET — Cutter Natural Insect Repellent, EcoSmart Organic Insect Repellent, Cutter Lemon Eucalyptus Insect Repellent and Avon Skin So Soft Bug Guard. And then three seemingly random products were tested — Avon Skin So Soft Bath Oil, Victoria’s Secret Bombshell perfume and Mosquito Skin Patch. The researchers reported that all the tested mosquitoes were “strongly repelled” by products containing DEET and lemon-eucalyptus oil. For the other products, they found mixed results. And it seems the Mosquito Patch is not worth your hard-earned money. Strangely enough, Victoria’s Secret Bombshell perfume is also good at repelling mosquitoes. While DEET held its repellent effect for more than 240 minutes, Victoria’s perfume was effective for 120 minutes, giving a lady a good reason to reapply while outdoors. Picaridin and permethrin are also viewed as very effective and safe compounds. They were not included in the mentioned study, but have been validated elsewhere. Permethrin is used to treat inanimate objects like your boots or tent. 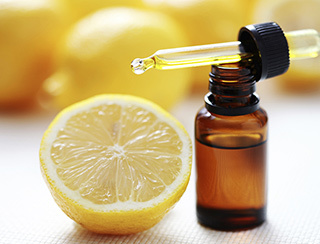 Lemon-eucalyptus oil containing p-menthane-3,8-diol has been found to have similar efficacy to DEET repellents. Keep in mind that there is good data for using DEET as tick repellent, as well. Unfortunately, we can’t apply the study’s mosquito data to ticks. As one is a true insect and the other is an arachnid more closely related to spiders, the non-DEET products may not offer as broad coverage. I am all for safer and more natural when possible. But West Nile virus and Lyme disease have kept me using DEET or Picaridin year after year. Now the lemon-eucalyptus oil seems like a great choice, as well. I suppose I could also treat my tent and hiking boots with permethrin, but I’m either too lazy or not sufficiently paranoid. Sometimes it feels like we spin our wheels in medicine. As a dermatologist, I advise people to stay out of the midday sun, but enjoy the mornings and evenings. Sounds like good advice right? Until you hear the CDC’s radio ad telling you exactly the opposite. To avoid mosquitoes, they want you going out during the midday. Blasphemy! But I’d like to propose a third option: Go out when you want and live life. Just remember your bug spray and sunscreen. And if you ever catch me in Victoria’s Secret, I am just buying my insect repellent.